BMW is nearly ready to welcome the third member of the 'i' family, the BMW i8 Roadster. In 2018 the German automaker will unlock the door to the i8 roadster, ushering a new dimension of open-top driving pleasure. 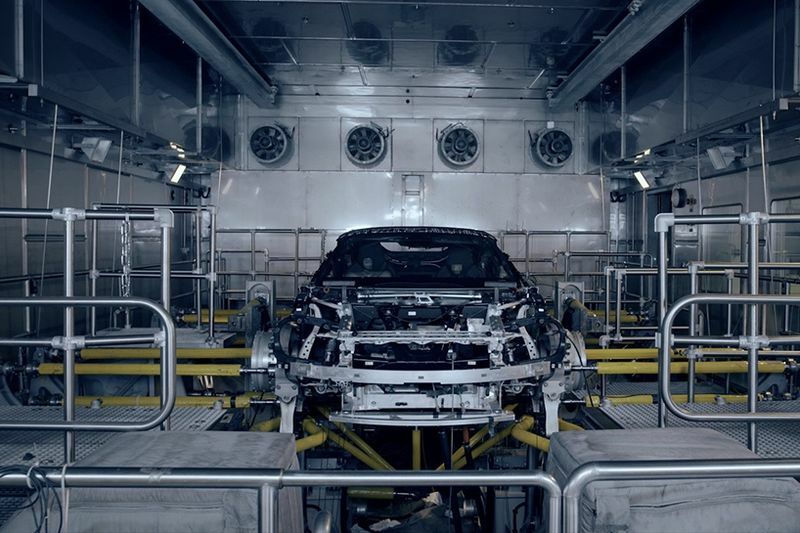 The progressive sports car is in its final testing phase in plant Leipzig, and BMW offers an inside look at its rigorous experimentation process ahead of its release. The BMW i8 roadster is set to be virtually silent and produce zero local emissions. Preliminary figures about the sports car indicate that it will have a combined fuel consumption of 2.1-litres for every 100 kilometres, combined electricity consumption of 14.7 kwh/100 kilometres and combined CO2 emission of 48g/km. The BMW i-range is a branch of the luxury automobile manufacturer that focuses on connected mobility services, visionary vehicle concepts and sustainability. The urban-minded i3 electric car and the i8 plug-in hybrid sports car are the brand's first two 'i' vehicles. Stay tuned for more news on the i8 roadster as it readies for its big reveal. In the meantime have a look at the video below, it looks and sounds like something out a Transformers Movie.